Michael is a counsel in our Litigation, Insolvency and Restructuring Group, based in our Hong Kong office. He has extensive experience in complex cross-border transactions and disputes, focusing primarily on contentious and non-contentious aspects of distressed or failed investment funds and trust structures with connections to the Cayman Islands and the British Virgin Islands. In that context, he advises insolvency practitioners, creditors, shareholders, directors and professional service providers in relation to commercial disputes, liquidations, provisional liquidations, schemes of arrangement, fraud, arbitrations and other relevant issues. 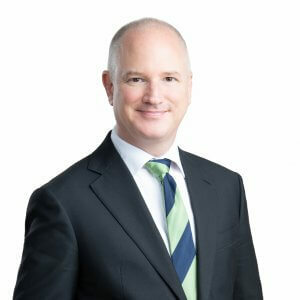 Michael joined Campbells in our Cayman Islands office in January 2016 following 14 years of practice in the litigation and dispute resolution department of a leading Australian law firm and 10 years of legal practice in multiple jurisdictions in Southeast Asia. He relocated to Campbells’ Hong Kong office in late 2017.